In order to solve reliability evaluation of life of electromagnetic valve of EMUs, this paper evaluated the life of electromagnetic valve under small sample size based on zero-failure data. Firstly, prior distribution of the failure probability was taken into consideration and then the posteriori distribution was obtained by using the Bayes method so that the Bayes estimation could be received under the square loss. Finally, according to the pi received, the reliability parameters of two-parameter exponential distribution were estimated based on weighted least square method. 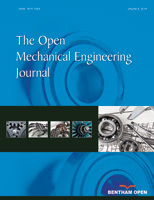 In addition, this paper applied the reliability theory to the reliability life evaluation of electromagnetic valve of EMUs which shows that this method can solve the reliability assessment problem providing certain theoretical basis for the reliability of electromagnetic valve.